Even for an informal gathering, proper table setting is part of the art of entertaining. Placing napkins, utensils and dishes in the appropriate place will help your table look elegant and help your guests feel comfortable. 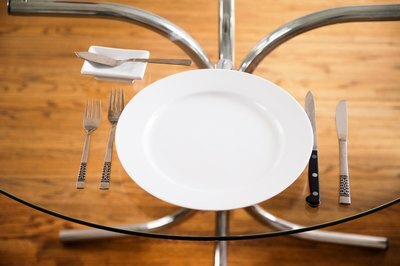 Always place forks to the left of the guest's setting. Forks are placed in order of use, with the fork to be used first farthest away from the plate. For a menu with courses of fish, salad and dinner, the forks would appear in that order on the left. To the person's right, the dinner knife appears next to the plate with serrated edge facing in, followed by the fish knife with blade also facing inward. Other knives, such as a salad knife, are then placed to the right of these. One exception is the butter knife and plate, which are placed at the upper left-hand corner of the setting. Lay the blade toward the guest and handle across the plate. Following the knives is the soup or fruit spoon. 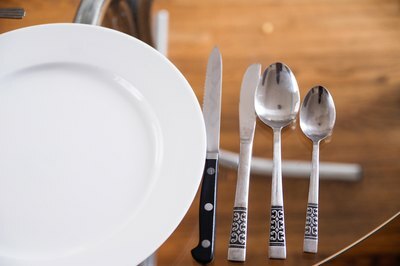 Other spoons may correspond with the dessert spoon or a teaspoon for tea or coffee, but these should be provided with the dish or beverage and are not set before the guest is served in formal settings. An oyster fork may be used for the corresponding appetizer. Shaped like a two-pronged pitchfork, the oyster fork should be the only fork to the right of the place setting. Place it directly next to the plate. Placement of the napkin depends on the formality of the occasion. 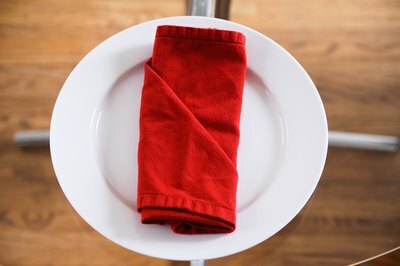 Emily Post suggests that if a plate is set for the guest before service, the napkin rests upon it. 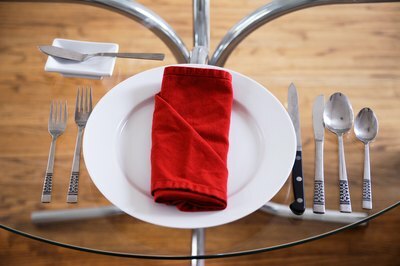 Otherwise, for a formal event, the place reserved for the dinner plate is filled with the napkin before seating so the guest may place it on his lap before the meal begins.